It may not be the glamorous side of politics but I am deeply passionate about the Conservatives commitment to the biggest, boldest, most far-reaching road improvements in four decades. Backing businesses with world-class infrastructure is a key part of our long-term economic plan for a stronger economy and a better future. That’s why we’re investing £15 billion in over 100 improvements to our major roads, including hundreds of extra lane miles on our motorways and upgrades to some of our most important arteries – like the A1 Newcastle-Gateshead western bypass, and thwe A1 extension beyond Morpeth. We have also secured a feasibility study into dualing the A69 in the last Parliament, after a long campaign by local people, the Conservative councillor for Haltwhistle, myself and many more. Our plans will be nothing less than a roads revolution – one that will lead to quicker journey times and businesses boosted right across the country. The British people want controlled immigration – and that’s what the Conservatives will deliver. In the last Government I worked for Theresa May in the Home Office and I know how important it is to get this issue right. I welcome the fact that we accept the brightest and the best and have long been a safe haven for genuine asylum seekers. But it is clear from my time as a local MP that people want the UK to have greater control on immigration, it's effects and its consequences. And this is a view increasingly shared in the other Northern European countries. That’s why we have a plan to remove the financial incentives that attract migrants to Britain, with changes to welfare an absolute requirement in our renegotiation of Britain’s relationship with the EU. EU jobseekers will also not be supported by British taxpayers and will have to leave if they aren’t in a job within six months. This plan will deliver the toughest system on welfare for EU migrants in Europe. We’ll renegotiate to reform the EU and Britain’s relationship with it, with the issue of free movement a key part of that. Then we will put that reformed relationship to the people in a referendum. But if our concerns fall on deaf ears in Europe, we’re ruling nothing out. Labour won’t renegotiate and won’t give you a referendum. If you want renegotiation and a referendum, there’s only one way to get them: by voting Conservative at the next election. We’re rolling out Universal Credit and fixing Britain’s welfare system – to help people get on in life, and help them slowly and surely get off benefits, and back into work, whilst supporting them as they do. Under Labour, welfare failed to reward work and trapped people in poverty. Hardworking taxpayers lost trust in a system that had created a something-for-nothing culture. But as part of our long-term economic plan, we’re clearing up Labour’s mess on welfare. Universal Credit, our major reform of the benefits system, ensures that work always pays more than benefits – so we reward people who work hard and do the right thing. Universal Credit is already available in 100 jobcentres, and in the next two months it will be rolled out to 150 more. By this time next year, it will be available in all jobcentres and will boost the economy by £7 billion each year. Above all, Universal Credit is securing a better future for Britain by helping people get off welfare and into work, with the security of a regular wage to provide for their families. Unlike Labour, we’re building a welfare system that rewards work – and is on the side of hardworking people. Boris on Miliband was clear - warning that the Labour leader “thinks the only problem with Socialism is that it hasn’t been properly tried and that he just needs one more go." Ever since he forget to mention the deficit in his Conference speech, Ed Miliband has been on the back foot on the issue. Once again, it’s clear that Labour have no plan to clear the deficit. It's worth remembering at a local level Labour will have almost doubled the County Council's debts by 2017 - to nearly a billion pounds. Their plans for more spending, more borrowing and more debt would increase the deficit, hit hardworking taxpayers, and put the recovery at risk. Looking forward to the Ponteland hustings tonight, which is the last local hustings. I am doing several more smaller single issue meetings before May 7, and will be doing a BBC Look North TV event next Wednesday evening. Like all his colleagues, the Northern Irishman risks his life every day in an arena where there are only four blank days in the calendar, and an ambulance follows every race. He has fallen an estimated 1,000 times from horses weighing half a tonne, travelling at speeds of up to 30mph. For my part I have been lucky enough to meet the great man a couple of times, and like many have found him nothing but a true professional, whilst committed and unfailingly polite to everyone from the stable lads to the owners and breeders. All of us could tell our legendary AP tales whether it is the wins from when it simply was not possible to his sheer will to win. 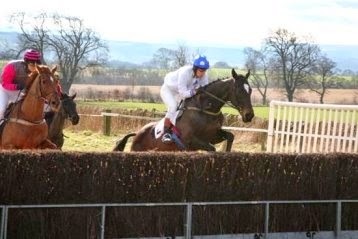 He once took over from me and rode Lowlander, the horse pictured below, at Fontwell. I will remember our conversation after the race for a long time. He is right to retire at the top. We will never see the like of him again. Wish I was there at Sandown tomorrow but will watch his final bow on iplayer. A Conservative government would end inheritance tax on family homes worth up to £1m. It means parents will be able to pass them on to their children without paying tax. The cost of the Conservative policy will be paid for by reducing tax relief on the pension contributions of people earning more than £150,000. As it stands inheritance tax is payable at 40% on the value of an estate in excess of the tax-free allowance of £325,000 per person. Married couples and civil partners can pass the allowance on to each other. Under the Conservatives proposals parents will each be offered a further £175,000 allowance to enable them to pass property on to children tax-free after their death. The new "family home allowance" will be transferable on the death of one spouse and can be added to the existing £325,000 transferable allowance to bring the tax-free total up to £1m. The full amount would be transferable even if one member of a married couple has died before the policy comes into effect, and so would benefit existing widows and widowers. For properties worth more than £2m, the new allowance would be gradually reduced, so that those with homes worth more than £2.35m would not benefit from the changes. Across the Hexham Constituency local people, just like you, are working together to ensure a better future for Northumberland. Our team of volunteers are at the heart of the campaign to secure a better future for Northumberland – and we want you to be part of it. There may only be two weeks left but there is still time to lend a hand. So get involved today, make great friends along the way, and experience the excitement of being on the front line in the most important election for a generation. Together we can win that election – and help secure a better future for Northumberland, and a better future for Britain. If you can help us please drop us an email at teamoppy@gmail.com or click here to sign up in 30 seconds. Hexham Book Festival up and running - please come along and support, listen and buy! There are amazing writers from Wendy Cope to Alexander McCall Smith plus Michael Smith and John Lanchester. If you have not had enough of the election and politics then come and listen to Labour legend Chris Mullin or journo Steve Richards, or Blair's inside man, Jonathan Powell. The array of choice is genuinely amazing. I am going to go for sure. All the Hexham candidates did a full shift today! BBC Radio Newcastle / Hexham High School hustings at 8.45, a lunchtime hustings at Prudhoe High School and an evening 2 hour hustings at St Mary's Church in Prudhoe punctuated by a lot of canvassing for me in glorious sunshine. A really good day ... but I can guarantee that all the candidates will sleep very well tonight! Speaking to local people in Ponteland recently one of the big messages I heard repeatedly was that people want a Britain that lives within its means. But by taking difficult decisions, we’ve already halved the deficit in this Parliament – and we’re committed to running an absolute budget surplus before the end of the next Parliament. By working through our plan, we will ensure that we don’t leave debts to our children that they could never hope to repay. Labour would turn back from our plan, risk the recovery with more borrowing, and hit future generations with more debt. Only the Conservatives have a strong and competent team with a proven record and a credible plan that’s turning our country around – and securing a better future. We’re helping small businesses grow and create jobs. A future Conservative government will back businesses with Help to Grow, a new scheme to plug a £1 billion gap in funding for small businesses – so they can get the investment they need to grow and create jobs. Small businesses are the lifeblood of the economy. They provide vital services and create millions of jobs, helping hardworking families get on in life. But many successful small businesses struggle to get the backing they need to expand. Help to Grow will plug this funding gap, helping up to 500 of our fastest-growing small firms every year – so businesses can grow and take on more people. Labour hit businesses with higher taxes and more regulations, which put both businesses and jobs at risk. But the Conservatives are committed to making Britain the best place in the world to start, run and grow a business – and Help to Grow is a key part of that. Our long-term economic plan is backing businesses with lower taxes and better infrastructure – which is creating jobs and securing a better future for Britain. The Evening Chronicle reports "Official figures showed the number of people in work in the North East has risen to 1,185,000, up from 1,135,000 two years previously. In the same period, the number of unemployed people in the region fell by 25,000 people, to 100,000." The facts are clear, the Conservatives long term economic plan really is delivering jobs and growth for the North East. On two occasions my life has been saved by the NHS - once when I had my brain tumour in 2011 and once when I was crushed by a horse at Stratford Races when I was a jockey. As a result I had 12 broken bones, a pneumothorax, a ripped kidney and had my spleen removed. 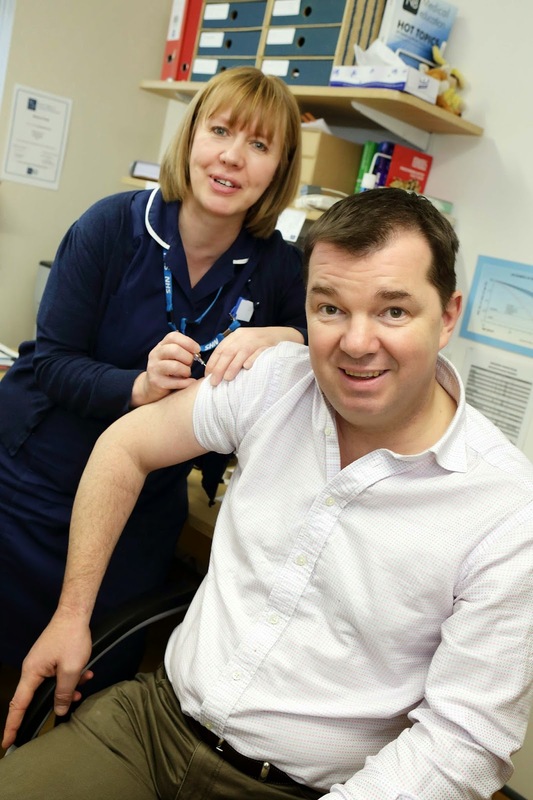 As a result I am immuno compromised and need the annual Flu Jab - given to me here in the pic by Sarah, who works in the GP clinic at Haltwhistle. I came into politics because of my passion for the NHS, and have campaigned for NHS services for over 20 years. 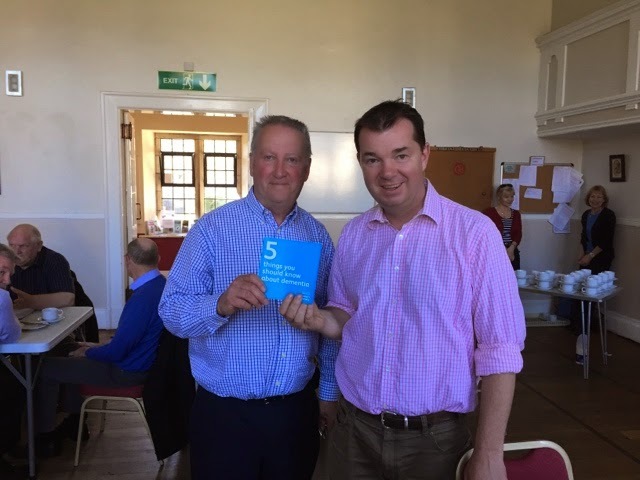 Over the past 5 years as your MP I have tried to do all I can to support local NHS services and will continue to do so if relected: I have helped lead successful campaigns to keep Maternity services stay at Hexham Hospital, and to protect A+E services at the Hospital. After many years of supporting the project and after £4.6million investment, a brand new NHS hospital for West Tynedale has finally been built. I was there in Haltwhistle in March at the opening. I also led the campaign to scrap VAT on Air Ambulance, which will now save the Great North Air Ambulance £24,000 every single year, the cost of 10 life saving missions. 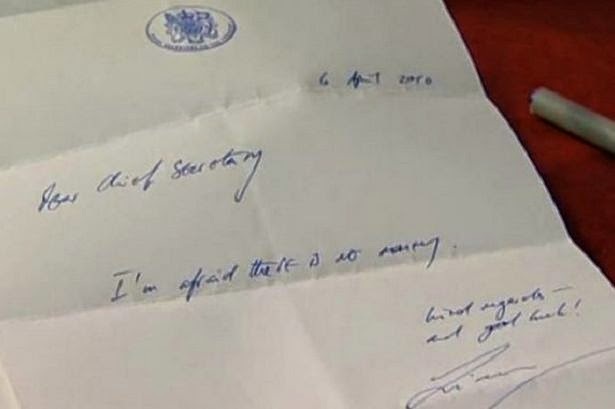 I have been been and will always continue to be a real champion of our NHS, and welcome the commitment my party leader has given to increase NHS funding if relected: http://www.bbc.co.uk/news/election-2015-32260220. Labour are still facing a wipe-out in Scotland -meaning a deal with the SNP is Ed Miliband’s only route to power. Again and again, Ed Miliband refuses to rule out this possibility. He is so weak, everyone knows he would be in Alex Salmond’s pocket - with Scotland first before everyone else... and we will pay with higher taxes, more spending, more debt and weaker defences in uncertain times. In 2010 the UK had a debt comparable to Greece's at the time. We have turned our country around by tough decisions and sticking to a long term economic plan. I am afraid the same cannot be said of Greece. They have been bailed out by other Euro zone countries [not including the UK, as the Chancellor took us out of the Euro bail out zone] on a repeat basis. But they refuse to cut their costs. The maths are simple. If you repeatedly spend more than you have, and have no plans for alternative income or the ability to get yet more borrowing then you will go bust. Greece is literally running out of money and refuses to take any action. It's exit is a certainty in my view. While Labour and the Lib Dems have confirmed they will raise taxes, we’re committed to cutting income tax and rewarding hard work. Income tax cuts are a key part of our long-term economic plan – to help taxpayers keep more of their hard-earned money and be more financially secure. For people with dementia, memory problems or who want more information or just a nice cuppa with good people the Memory Cafe in Corbridge Parish Hall every 3rd Thursday in the month is another way local people are ensuring that dementia can be addressed. I have nothing but admiration for everything that Melvyn and his team are doing. If you wish to support the Memory Cafe then all contributions and assistance would I know be welcomed. More than 300,000 people took their first step on the property ladder in 2014. When they were last in power, Labour wrecked the economy and getting on the housing ladder became nothing more than a pipe dream for thousands of hardworking taxpayers. But by building a stronger economy and helping people buy their own home, our plan is backing hardworking families across the country – and securing a better future for Britain. Long day with Hexham meetings, Prudhoe all afternoon and side trips to Horsley, Dalton and Fenwick. 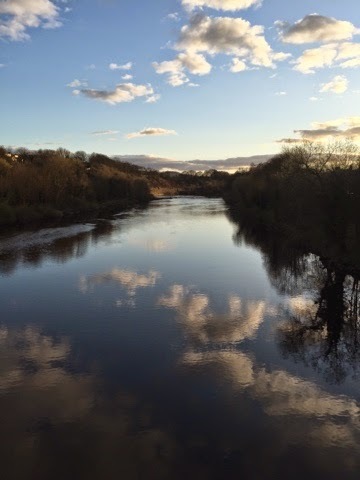 Finished with a pint of Nell's Best at The Boathouse in Wylam, where I took this picture of the River Tyne, as the sun went down. After a long campaign the final cabinets are now live in Corbridge, meaning the whole village now has access to high speed fibre broadband. 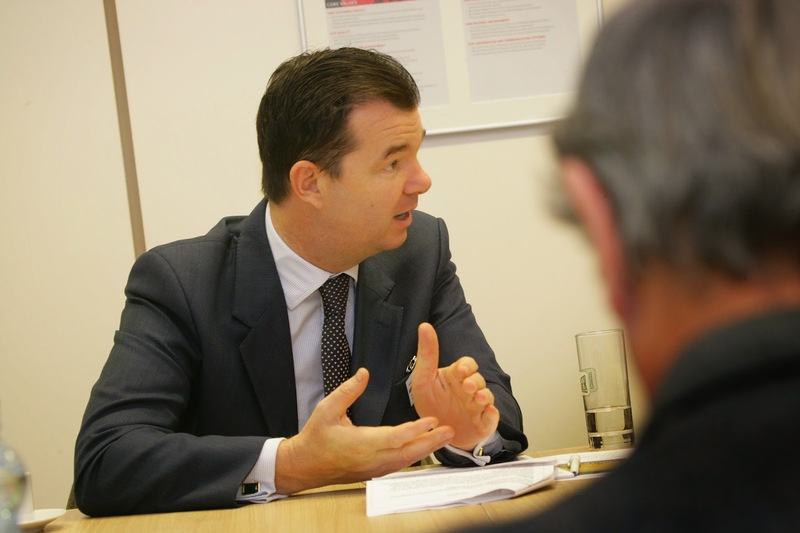 This is good news for businesses and local people. Properties closest to the cabinets can benefit from download speeds of 80 Mbps and upload speeds of 20 Mbps and, as the technology uses the existing copper connections between the cabinet and the properties, these speeds will reduce over distance from the cabinet. This unfortunately means some of the communities outside the village cannot yet benefit from the improved services, but we are working to extend the coverage with additional funding. NB: It is important to note however that the improved speeds do not happen automatically and if residents or businesses do not upgrade to a fibre based broadband service they will see no improvements. Services are available from a range of internet providers including BT, Plusnet, TalkTalk, O2, EE and others, and our feedback is that many people have been able to upgrade at no extra cost, or in some cases actually saved money on the monthly payments. We have a comparison tool on our website (www.inorthumberland.org.uk) which allows people to enter their postcode and phone number to see which deals are currently available – alternatively many people choose to just contact their existing provider to upgrade. We’re giving people more security in retirement. As part of our long-term economic plan, we’re extending the 65-plus pensioner bond scheme by three months – helping pensioners boost their savings with market-leading rates. Labour left the country in the deepest recession since the war, with many pensioners seeing their incomes fall as a result of the low interest rates pursued to support the economy during this difficult period. But with our 65-plus bond, Britain is helping pensioners out in return. The bond is already the most successful savings product in our history, and now over a million pensioners will have the opportunity to benefit. Our plan is supporting people who do the right thing. The 65-plus bond is the latest example of that, giving pensioners the opportunity to get more from their savings – so they’re more financially secure in retirement. Saturday 18th April Hexham QE High School – 2.30pm. 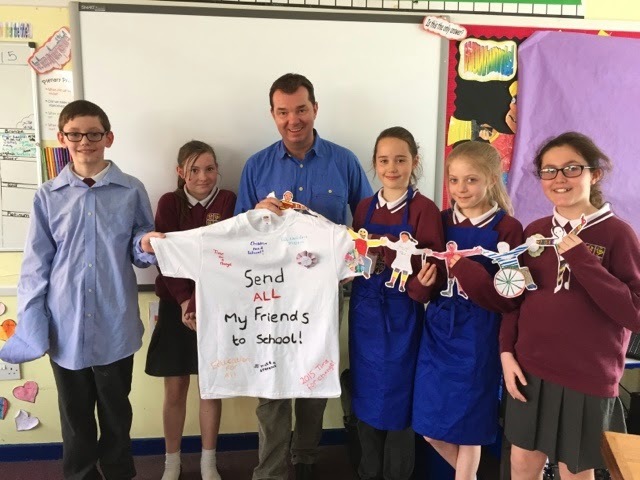 Run by Northumbrians for Peace & sponsored by Hexham Quakers. I have been asked to correct the original posting. I was originally told that this was to be a joint event with the Hexham Abbey, but I am now told this is not the case. It is chaired by George Hepburn. Open to all. If you want to ask a question come along at 2 and a committee will assess the suitability of the question you wish to ask. 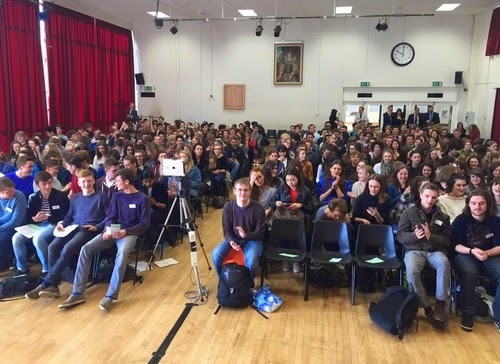 I am doing a large number of other events, debates and hustings both in the constituency, and in the wider North East, including a BBC TV Debate, and on other media outlets. We’re fixing Britain’s welfare system and helping young people get on in life. Under Labour, youth unemployment rose by over 40% and young people across the country were left on welfare, without the opportunities to get a job and succeed in life. But we’re changing that. A future Conservative government will require 18-21-year-olds who haven’t been in employment, training or education for six months to do 30 hours of community work a week as soon as they start claiming benefits. As part of our long-term economic plan, we’re fixing the welfare system. That’s not just saving Britain money, but also rewarding work, changing lives and giving everyone the chance of a better future. We’ve already created 2 million apprenticeships and are committed to delivering 3 million more – giving young people the skills they need to learn a trade and reach their potential. But we want to go further and effectively abolish long-term young unemployment. That’s why we will require unemployed 18-21 year olds to do daily community work, as well as look for a job. That will give young people the work experience they need, and the order and discipline of turning up for work every day. Welfare is not a one-way street. Yes, we will support young people – but the something-for-nothing benefits culture of Labour is over. That will help young people stand on their own two feet, so they can move off welfare and into work – securing a better future for themselves and for Britain. Simon Stevens is in charge of the NHS and he set out what he wanted - an extra £8Billion increase in spending to protect our precious NHS; this has now been promised by the Conservatives, with a guarantee of an £8bn increase in spending per year above inflation by 2020. However, you can only do this if you have a strong economy, a long term economic plan and a strategy. There will be other choices to be made on other departments. The Chancellor has said "I can confirm that in the Conservative manifesto we will commit to a minimum real-terms increase in NHS funding of £8bn in the next five years. That is a minimum of £8bn over and above the £2bn down payment that I announced in the autumn statement last year. We’ve funded the NHS through the last five years; today we commit to fund it for the next five years. We can make this commitment because we’ve got the track record and a plan to grow our economy. New figures, confirmed by the Treasury, show that in the five years from 2010-11 to 2015-16 we are set to deliver a real-terms increase of £7.3bn. And we have done that at the same time as halving the deficit as a share of GDP and cutting income tax for 26 million people. In the next parliament we will continue with the same balanced approach." 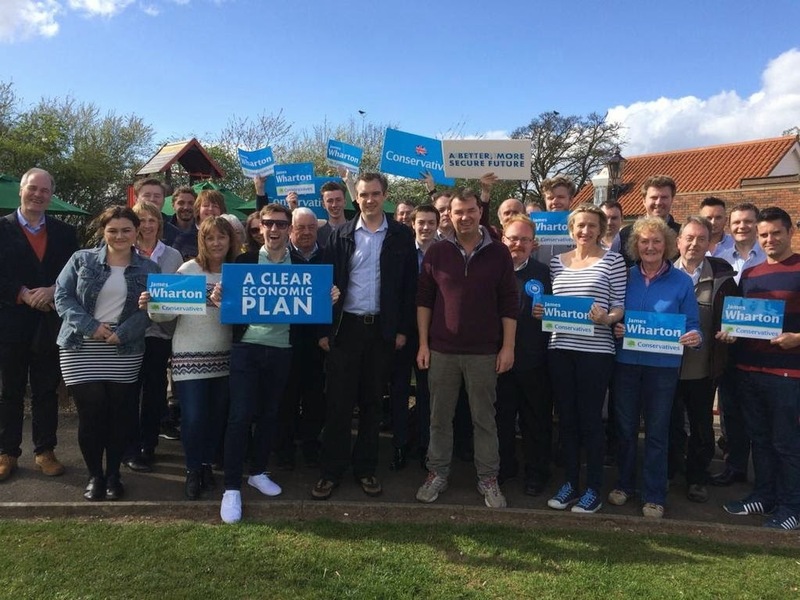 This weekend I was pleased to be able to lead a team of 20 volunteers from Hexham and Newcastle to help the excellent James Wharton in Stockton South. The Conservative majority in Stockton South is just 332 and it will be close between James and his Labour opponent. James has been a hard working local MP for Stockton South and that really comes across on the doorstep. With less than 30 days the race will go down the wire, but I genuinely believe James' local popularity will see him through. We’re building a Britain that offers everyone dignity and security in retirement. If you’ve worked hard during your life, saved, paid your taxes and done the right thing, you deserve dignity and security when you retire. It’s a key part of our long-term economic plan and it’s about the type of country we want to build: one where if you put in, you get out. And no one has put in as much as our elderly. Ensure Britain has a strong economy, so we can protect the NHS and make sure no-one is forced to sell their home to pay for care. These commitments reward those who have worked hard and done the right thing – and will secure a better future for our elderly and for Britain. The most recent figures from the Institute for Fiscal Studies, the independent think tank, show that average household incomes are back to pre-recession levels. And with wages forecast to grow faster than inflation this year, experts expect living standards to rise further in 2015. The IFS is also clear that income inequality is lower than in 2010, when Labour were last in power, and that pensioner poverty is at record low levels. It’s another major milestone for the economy and shows that our long-term economic plan is working and ensuring families are more financially secure. But the plan isn’t finished and, as the IFS warn, our economy is more vulnerable if we don’t deal with our debts. Labour have no plan other than more spending, more borrowing and more debt. That would mean chaos for the economy – and hardworking families would pay the price with higher taxes, falling living standards and a less secure future. We can’t put the progress we’ve made as a country at risk by abandoning the plan that’s got us this far. "People in the North East have enjoyed the biggest rise in living standards since the start of the recession, according to a new study." reports today's Independent Newspaper. The report highlights "The surprising findings suggest that the North-South divide which existed at the start of the downturn is no longer so clear cut. The 3.9 per cent rise in incomes in the North East since 2007-08 –worth £794 a year-- is due largely to jobs growth in the region. It will delight the Conservatives and Liberal Democrats as they try to answer Ed Miliband’s central election claim about a 'cost of living crisis'." 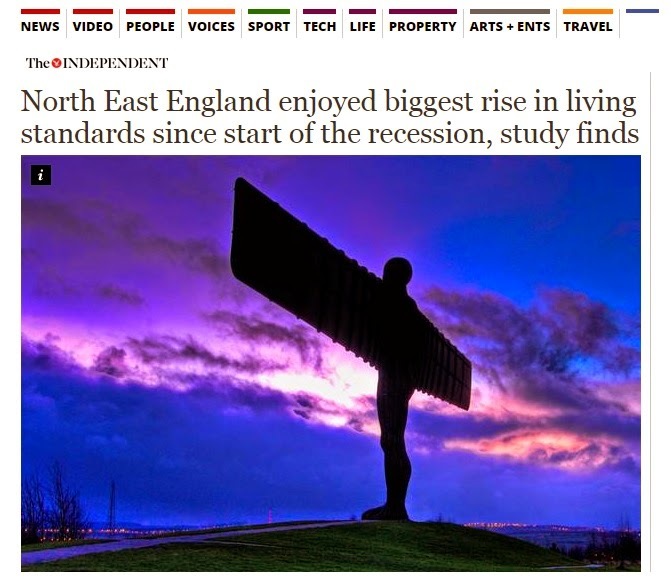 Incomes in the North East were the lowest in Britain on the eve of the recession. But the region’s employment rate is now 2.9 per cent higher than before the downturn and it had a relatively shallow pay squeeze – 6.1 per cent between 2009 and 2014, lower than the UK-wide figure of 9.3 per cent."